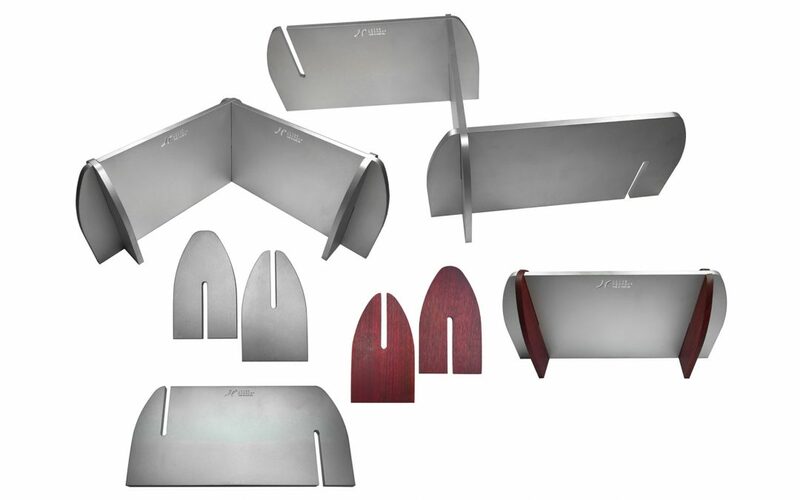 The Jayne Redman® Bench Accessory System allows you to combine components to create a custom tool organizer. The System consists of an Aluminum Body section and either an Aluminum or Purple Heart Wood Leg Set. The Aluminum Body has a top slot on one side and a bottom slot on the other. Slide the corresponding slotted legs onto the body section to create a single stand or combine more than one body section to create a multiple stand. Use your Jayne Redman® Bench Accessory System to hold pliers, shears, tweezers or any compatibly shaped tool. The Jayne Redman® Rotational Bench Pin System is available from the Tools Shop or Rio Grande.